We believe Malmö would be a perfect city to host a degrowth conference. Vibrant and mixed, it is at the same time relaxed and down-to-earth. Malmö has gone through a substantial transformation since the early 2000s and is now a space that attracts people as a place to live in from all over Sweden and beyond. 43% of the population of the city are foreign-born. There have been several immigration waves into Malmö, from areas such as the Middle East, Africa and the Balkans. Arabic is currently the second most spoken language here. The mixed community of Malmö gives the city a unique vibe. Many of us in the organising team live in the city and really love the place. There is a strong presence of alternative forms of organising in Malmö, as well as a varied cultural and grassroots life. For example, the 2008 European Social forum was held here; annually it hosts a range of inviting and accessible festivals, such as Malmö Festival, Sommascen, Arabic Film Festival, Female Film Festival and others. At the same time, Malmö (and the Skåne region more generally) is still a key industrial area of Sweden and is facing a variety of social problems. 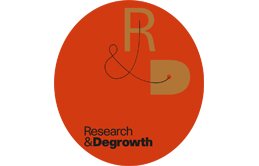 Malmö is also in close proximity to Lund and Copenhagen, both of which have been spaces for degrowth debates.